Swimming pools are great places for entertainment and family fun. However, they are also the location many drowning and injuries of small children every year in America. We’ve included some guidelines for pool safety that can help prevent many of these situations. This guide is designed for use by builders, owners, and purchasers of residential pools, spas, and hot tubs. These guidelines are intended general safety tips and are not the sole methods to minimize pool drowning of young children. We recommend “pool schools” offered by local pool manufacturers/servicers as a means to fully understand the safety and function of your pool. Pool barriers should be designed to prevent handholds, footholds, or openings along the bottom to prevent climbing or crawling under to enter the pool area. The top of a gate or barrier should have a minimum height of 48 inches, measured on the outward facing side of the barrier. Solid barriers should have only minimal protrusions created by construction connections and masonry joints. Horizontal supports should be on the pool-facing side of any fence that is made up of horizontal and vertical supports when distances from the tops of the horizontal members measure less than 45 inches. Vertical support spacing should be no more 1-3/4 inches (the approximate width of a small child’s foot). Decorative additions or cutouts in the fence should not create gaps that exceed 1-3/4 inches. Inclusive of spas and hot tubs as well. The spacing between vertical barrier supports should not exceed 4 inches (based on the head and chest measurements of a small child) to prevent pass-through access by children. Openings in lattice fences or fences with decorative cutouts should not exceed 1-3/4 inches to minimize footholds for climbing. Chain link fences should have a maximum mesh size of 1-1/4 inches square unless slats are in place and secured at the ground and top of the fence to allow for openings to no more than 1-3/4 inches. All gates leading to the pool area, whether from the house or from other areas of the property, should open away from the pool and should be self closing, self-latching, and have a locking mechanism. This requirement is to prevent young children from simply pushing on the gate and entering the pool area. Pushing should cause the gate to close and ideally to latch. To prevent child access to the latch release device measuring below 54 inches from the bottom of the gate, the device should be at least 3 inches below the top of the pool-facing side of the gate. Also, there should be no openings in the gate and/or barrier greater than 1/2 inch within 18 inches of the latch release. This prevents latch release from the outside of the pool area. The doors of you home which lead directly to the pool area are very important parts of the barrier system. These doors should be equipped with audible alarms to alert you in the event of a child entering the pool area unsupervised. 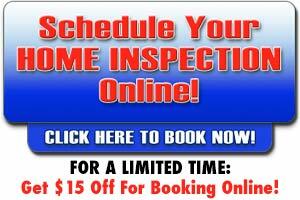 Contact us today for the best Fort Worth home inspection service around! Be the first to get useful tips and information from Capital Home Inspections delivered directly to your email!